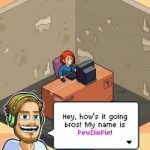 PewDiePie’s Tuber Simulator is an iOS and Android game from Outerminds that we’ve discussed in great depth since its release a few weeks ago. As the company’s second PewDiePie-centric title, the game gives aspiring YouTubers a chance to be as popular as PDP, although this is, of course, in an in-game sense and not in the real world. In order to be a successful Tuber, you’ll need to accumulate a great number of views and subscribers, level up individual genres and your own channel, and do a variety of other things to this end. But can you trump PDP’s popularity or come close to it, or will you be forced to resign yourself to obscurity in the ever-crowded world of YouTube and its scores of content creators? If you want to rival PewDiePie’s popularity on YouTube, you’ll need to do a number of things and follow the basic tips we shared to you in our general strategy guide, as well as those in the other guides for the game we’ve published. 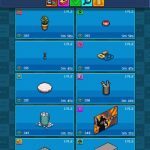 But you’ll also want to keep some advanced aspects of the game in mind, and this is where this new PewDiePie’s Tuber Simulator strategy guide comes in – this is a list of some of the top tips in the game that could ensure you of greater success. If you bought some items in the game that you no longer need or regret buying, the bad news is that you cannot do so in this game. But the good thing is that there is an alternative to deleting items, and that’s putting them in your storage. Tap-and-hold on the item that you no longer want in your room, and that will transfer it to storage, without you having to lose the genre bonuses you got for purchasing those items. It’s a win-win situation for you, so don’t worry if the game doesn’t let you free space by deleting items. In relation to the first tip, we also advise you to keep on collecting and accumulating brains. It’s important that you have enough brains to upgrade your genres and do so as much as possible, and there’s a good way to add to your brains totals quickly. This is best done once you’ve unlocked the second shipment, and when you do, you can buy items for all the categories, starting with those in the lowest tier and working your way up until you’ve bought them all. Again, don’t worry if they don’t mesh with your room’s design, or if you’re feeling some “buyer’s remorse” afterwards – you can always send them to storage. In any event, you’ll get an XP bonus for the genres, a bonus to your overall player level, and brains for buying a new item, regardless whether it goes to storage or not. It might not sound like an easy task to design more than one room in this game. But once you reach a certain point in PewDiePie’s Tuber Simulator, you’ll have a great deal more items on you, and you could potentially have enough items (or more than enough) for you to create multiple rooms with varying themes. The game lets you create up to three rooms for free, and you can do this by tapping on the blue button on the top left of your screen, then tap on the second button, the one that’s shaped just like a room. That will bring you to the menu that allows you to add more rooms to the game. Fortunately, the game lets you share views, subscriptions, items, and earnings between rooms, so go create more rooms if you’ve got enough items for that. We already talked about earning Bux – the game’s premium currency – in a separate strategy guide. Compared to views and subs, Bux are not easy to earn, and it may take you a while before you’ve got a substantial amount of Bux for your total to mean something. 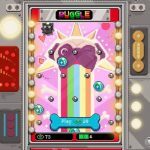 But there are a few ways for you to do this, such as by playing the Puggle mini-game. The Eagle could earn you some Bux when he flies around, though you’ll have to be very quick and very lucky, as it’s not every day when he flies around and gives out those Bux. Leveling up your character is another way to earn more Bux, and so is completing quests. As you can see, the game offers you multiple ways to add to your premium currency; just be patient, and you’ll earn Bux without having to pay for them with real money. What we shared with you above is a quick recap of the ways in which you can earn Bux. But you may be wondering where you can spend that currency. For one, you can use them to buy the more premium upgrades to your room, but you can also use your Bux to expand existing rooms. That will allow you to expand your room to a solid size at first, and while it will eventually cost you 50 Bux each to expand your rooms, that’s money well-spent. You can also use Bux to upgrade your desk and add to your premium items, but only if they’re really important. One thing you should NOT use your Bux for is to expedite item delivery. As we often say, spending premium currency on speeding things up is an impatient, wasteful thing to do. There’s a better (though very risky) way to do that, and we’ll tell you more about it in the next tip. This is another callback to our previous strategy guides, though we should give you an even sterner warning, now that we’ve heard of players who’ve been kicked from the game for using it. Other players have reported success after deleting and re-installing the game, then re-connecting to Google Play or Apple’s Game Center. But whatever the case is, we advise you to use this cheat sparingly. We are, of course, referring to the time lapse, which would have you changing the time (and/or date) on your settings to expedite item delivery. Take care when using this cheat, and once again, don’t overdo it! 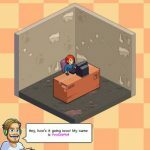 We did mention that PewDiePie’s Tuber Simulator has some social features included. Unfortunately, they’re mostly not available just yet, as you’ll be shown a message that reads “Under Maintenance,” or something to that effect. But one feature that has just been made available is the ability to “connect with friends,” which, simply put, allows you to connect your game to social media and add friends to your in-game world. You should know your friends’ exact channel name so you can add them up, but if you do, you should be all set to go. After adding friends, you can send them gifts whenever possible and expect to receive gifts from them in return. But if you don’t have enough friends who play the game, there are some sites, that allow people to share the names of their channels. This could be your chance to get connected and enjoy all the benefits thereof, so check out that list and look around for others!